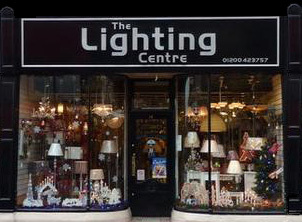 Clitheroe Lighting Centre is a family run business set in the heart of the Ribble Valley, in the market town of Clitheroe. Nestled just underneath the historic Clitheroe Castle, customers can enjoy a spot of retail therapy in picturesque surroundings. 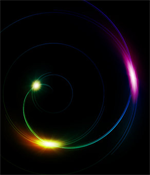 Established for over 40 years, Clitheroe Lighting Centre has become one of the North-West's premier lighting retailers. With good stocks of ceiling fittings and wall lights, floor lamps and table lamps, spot lights and outdoor lighting, Clitheroe Lighting Centre cleverly caters for everyone's unique styles and tastes. From traditional to contemporary, there is something to suit every style of home. We also display a large range of fabric shades and offer a shade making service for something a little bit special. The Lighting Centre also carries an unrivalled stock of bulbs. Don’t see anything you like in our showroom? Why not have a look through our catalogues and take advantage of our ordering service. With hundreds of ranges available, you are bound to see something that is perfect, and with many items arriving within the week, you won’t have an endless wait to complete your room. With a combined experience of over 40 years in the lighting trade, our staff are always on hand to offer expert help and advice. Clitheroe Lighting Centre was featured in Series 9 of ITV 1’s ‘60 Minute Makeover’. We supplied a range of light fittings and lamps that were used in a stunning makeover at a home in Warrington.